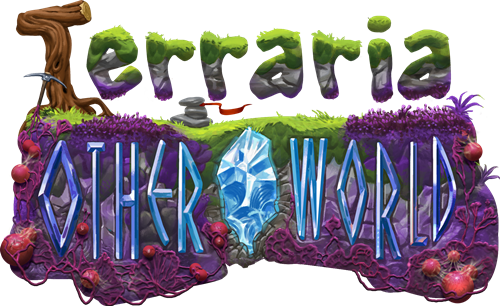 Developer Re-Logic and Engine Software announced Terraria: Otherworld today, but strangely enough it is not a sequel to Terraria like most people might expect. According to the developers this game is "exploring what might have been, and approaching gameplay in a new direction". This means that the new game is more a take on what the original Terraria universe would have been like in other circumstances, and they are letting us experience this by taking us into another dimension: The Otherworld. "Set in an alternate dimension within the Terraria universe, Terraria: Otherworld places the player in a life-and-death struggle to restore a once-pristine world – now overrun by a malevolent force that has corrupted nature itself – to its original splendor. Along with a rag-tag band of survivors, will you be able to successfully harness the power of an array of weaponry, magic, defenses, and even the world itself to thwart the designs of this unseen evil?" The game is still in an early stage, and so far it is only scheduled for launch on PC and Mac. On their forums, Re-Logic does say that they are considering Xbox One and PlayStation versions, without being able to land a decision on that yet. No release date has been revealed, but the developer will be shedding some light and answering questions on the game on the upcoming Game Developers Conference in early March, so we can expect some more news then. Are you looking forward to more Terraria?